Simple and fast DIY gift idea from the fabulous bloggers at M&J! 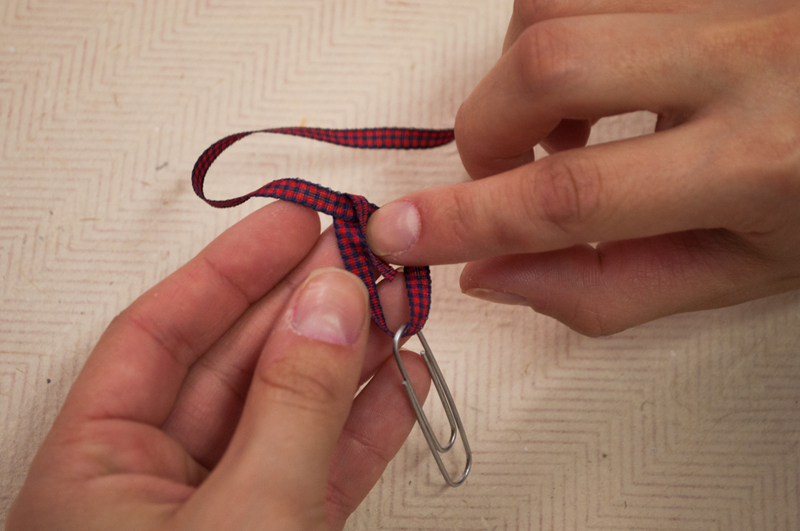 Grab yourself some paper clips and your favorite ribbon, and get to creating! If you want to jazz up your office supply stash, look no further than M&J Trimming! 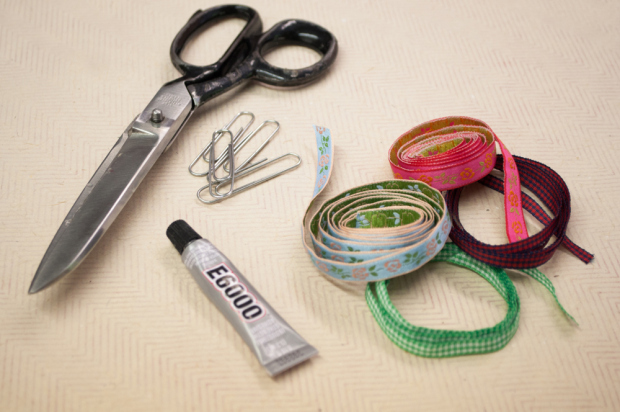 We have a stash of gorgeous ribbons, trims and notions that are perfect for personalized your office space. So whether you’re a recent grad looking to beautify their first cube, an intern dipping a toe into the working world in style, or a seasoned pro who wants a little more personality in their space; you can DIY office upgrades with ease! Check out these adorable paper clips that can be used as bookmarks, or hold together your thesis paper. Paper Clip 1 1. 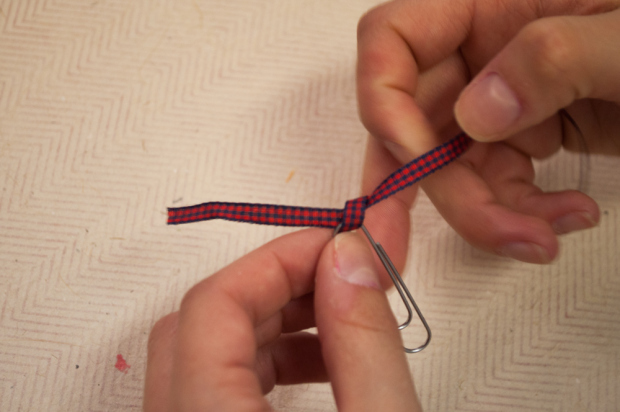 Place your 9mm Jacquard through the top of the paper clip. 2. Fold over the bottom piece and cut. Glue pieces together. 3. Once dried, cut the top piece on a slant or different shape.